Selena Gomez’s first design collaboration with PUMA is the highly anticipated Phenom Lux—a shoe that is made to stand out and help out. Designed for training, but styled for slaying, the Phenom Lux allows women not only to perform, but also take action. For this important first design collaboration between Selena and PUMA, the Phenom Lux will benefit the Lupus Research Alliance, the world’s leading private funder of Lupus research, which fosters scientific advancement by pushing limits and shepherding new discoveries into potential treatments - with the ultimate goal of finding a cure for Lupus. The Phenom Lux is a highly exclusive drop, released in limited quantities worldwide. 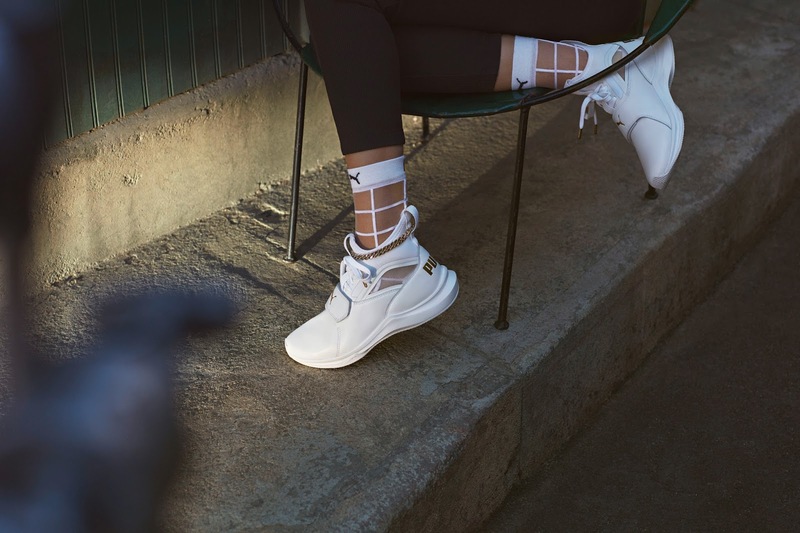 The stylish shoe is an elevated take on PUMA’s newest Phenom silhouette, and it merges true performance benefits with a fashion forward look. The IGNITE foam and forefoot zones create superior energy return, giving women the power to make their move. And since Selena loves simplicity, mixed with a touch of bling, the shoe sports a sophisticated, white leather upper with gold details and a removable anklet. The Phenom Lux is available for R2 499, exclusively at PUMA stores.